Prime Circle are made up of : Ross Learmonth ? Vocals/rhythm guitar Dale Schnettler ? Drums/backing vocals Dirk Bisschoff ? Lead guitar Neil Breytenbach ? Keyboards Marco Gomes ? Bass guitar Prime Circle is a South African rock band success story. They've gone from a rehearsal room in the small town of Witbank, to one of South Africa's most popular and talked about bands since their formation in 2001. 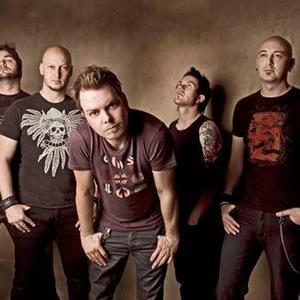 Prime Circle is a South African rock band success story. They've gone from a rehearsal room in the small town of Witbank, to one of South Africa's most popular and talked about bands since their formation in 2001. Their debut album, ?Hello Crazy World?, was released through David Gresham Records in 2002. After the success of their debut single, ?Hello?, they have continued to increase their support base. All four of the singles off of their debut album reached #1 status on South African charts. The album has since gone gold and is rapidly approaching platinum status. Prime Circle quickly became the most active touring outfit on South Africa 's live circuit, performing in many major clubs - from the smaller towns to the large cities. They have also headlined in a number of major live festivals in the country. The band have shared the stage with major international acts including Metallica, 30 Seconds to Mars, The Rasmus, Simple Plan, Live, Collective Soul, Paul Rogers (Bad Company), K's Choice and Kim Lian. They have performed at Nelson Mandela's 46664 concert in 2005 alongside international greats including Annie Lennox, India Arie, Katie Melua, and Will Smith. Internationally the band has toured the United Kingdom, Europe, India and the Middle East. On the back of the great reception of their debut album, Prime Circle went back into the studio to record their second album, Live this Life, which was released in September 2005. The music video for their single, ?Live This Life? was one of the most aired local music videos on television to date. Prime Circle have released a live DVD titled ?Living In A Crazy World? which was included in the box set of a greatest hits album released in 2007. July 2008 saw the band release their third album titled "All or Nothing" which again included harder rocks tracks like "Out of this Place" but included radio friendly songs like "Consider Me" which showed the band's political and socially responsible side and "She Always Gets What She Wants" which remained in the local charts for 50 months and was used in the sound track to a South American soap opera. In February 2009 the band launched a live DVD of the same name recorded at the launch of the new album. Later in the year the album was relaunched with a new cover for the international release ahead of their international tour on the heels of their appearances in the IPL cricket series. The album easily managed platinum sales status. The band were hard at work again on new material and released their fourth album, "Jekyll & Hyde" in September 2010. Arguably their best work to date, the album achieved gold status in just 9 days of release, smashed pre-sales records and has already spawned 3 big singles with many great tracks still to be released. Breathing topped the RAMS all radio playlist for 2010 beating out competition from across the genre spectrum. * They have been nominated for awards at ceremonies including "The Crystal Awards" (three years in a row), the "You Spectacular Awards" and the "Star In You Kids Awards."